As I posted last week, Miss Cakehead, a freelance creative director and managing director of Cakehead Loves generates and executes stunts, experiences and publicity campaigns that sometimes use food and drink in unusual ways. 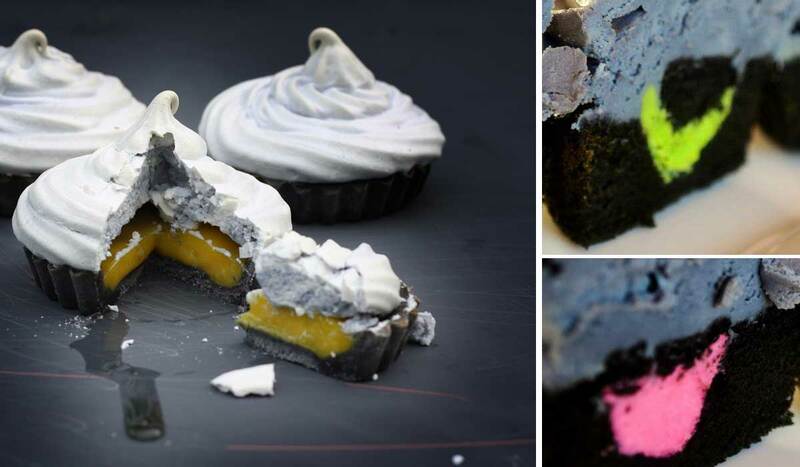 This summer she is doing a charity project called The Depressed Cake Shop, which is a unique pop up cake shop where every single cake on sale will be grey, with color on the inside. The project will open in London on August 2-4, with other popup events taking place around England, and maybe even across the world. The project is meant to bring awareness to depression and mental illness. The project website reports that one in four people will suffer from mental illness at some point in their lives, and the project will raise funds for a mental health charity, while bringing awareness to this issue. The project hopes to raise discussion about mental illness and to engage people with the issues that stems from this disease, and to talk about depression and mental health. Just like how the symptoms of depression can vary widely, so will the cakes. Since depression makes others feel sad, hopeless and lose interest in things you used to enjoy, the bakers contributing cakes and baked goods to the project will try to visually represent this. Some of the cakes might be half decorated, be grey or dull in color, and provide visual ways to show the effects of depression. Many of the bakers will be made by individuals who have personal experiences of depression, using baking as a way of expressing their struggles with, and experiences of, the illness. The project also has been looking for sponsorship to help setup a series of baking therapy sessions around England, and set up a support network for those who use baking to help combat depression. If you want to get involved, or create a pop-up shop of your own, you can get information from the Miss Cakehead website, or the project Facebook page.